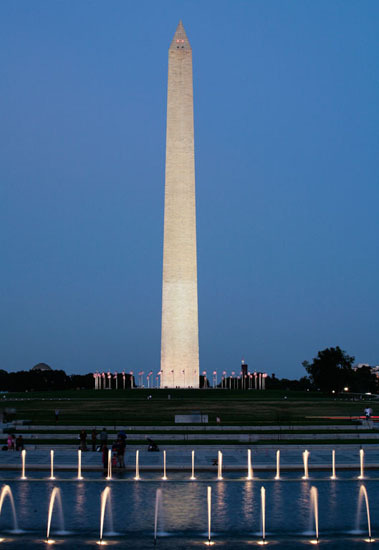 The significance of the Washington Monument in Lincoln's life is that it stood only partly constructed while he was president, primarily because of a lack of funding to complete it at the time. It was finally completed approximately 20 years after his death. About a third of the way up from the bottom, the coloration difference in the stone marks the dividing line between phases one and two of the monument's construction, indicating how tall it was during Lincoln's presidency.